7.30pm - Riders out on parade. 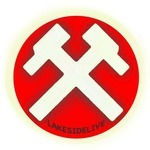 Lakeside win the toss & take Gates 2 and 4 in Heat 1, giving Workington the choice in Heat 15. 7.40pm - Delayed Start - track ambulance hasn't arrived yet. 7.50pm - Still no sign of the ambulance. 8pm - Half hour now since the rescheduled start time, no ambulance yet. 8.07pm - We have an Ambulance, should be under way shortly. Red lights on before Heat 1 with the riders at the tapes as the medical staff were all in the pits, 2 minutes back on. Comments: Nick Morris takes the R/R for Lakeside. From the Gate. Comments: Bowtell Fell, Remounted on B2 L2 trying to pass Bickley. Bach retired while out in front B4 L2 - announcer playing I should be so lucky for Bickley who took the win! Comments: Race Stopped, Campton moved across Bewley on backstraight of L1 and took his front wheel, Bewley hit the fence with a huge thud and Newman ploughed into either his bike or both man and machine. Newman is up and is walking back to the pits, holding his arm, but Bewley is still down. Not going to speculate, but Dan Bewley is still down on the track. Bewley is still on track, another ambulance has just arrived although it ended up in Tesco's before coming into Derwent Park. Meeting Abandoned, Dan is still on track. SCB Referee is Chris Durno.